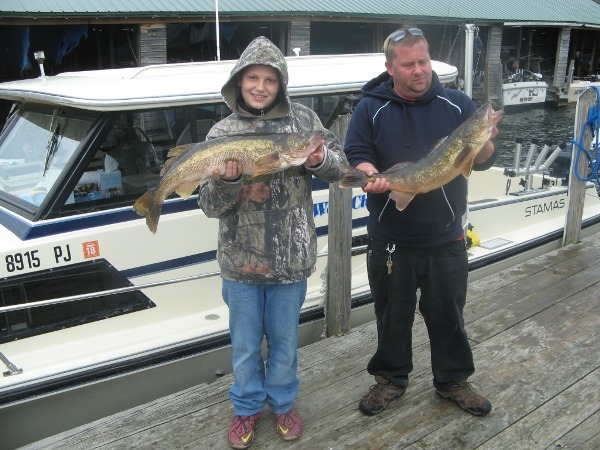 His uncle Guy also caught a decent 8 pound Walleye and a few bass were caught and released while fishing with planer boards for Walleyes. 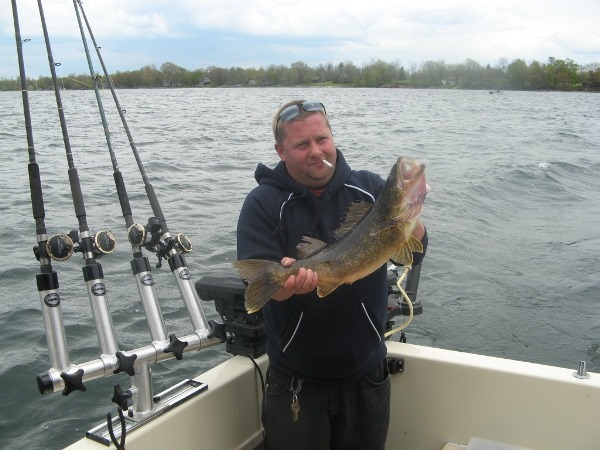 Although the Lake Ontario weather was not on her best behavior that day, the members of the Jeff Essig fishing party enjoyed their day out on the water as did the crew of the Milky Way! The first charter of the season for Milky Way Fishing Charters with the Tim Nortz party turned out to be a cool, damp, rainy one! But this did not dampen the spirits of the guys fishing on Sunday, May 1st. 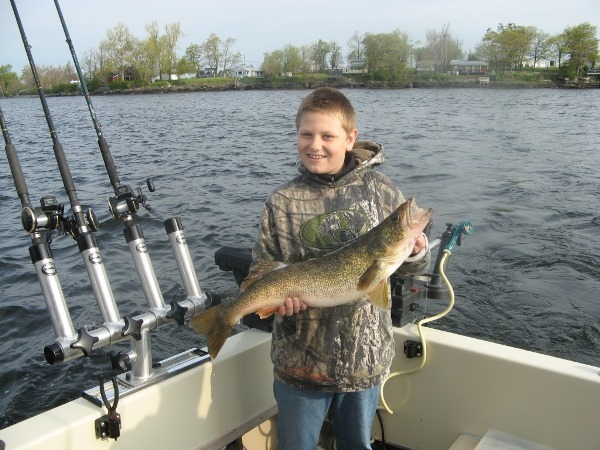 Even though the weather did not cooperate, the Trout did and the fishermen got their limit of Lakers! 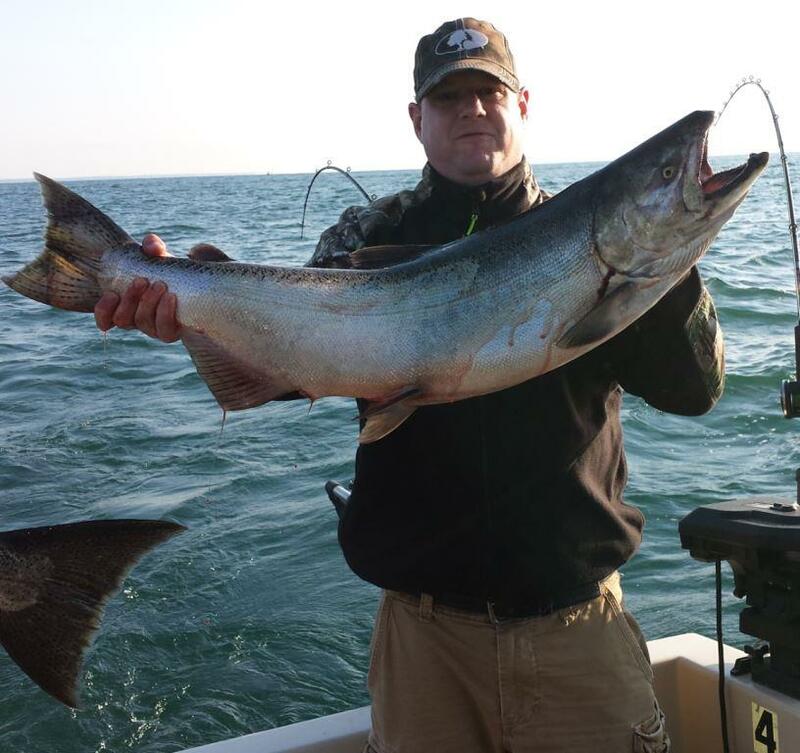 It was a great way to start off the fishing season with an enjoyable fishing crew aboard! Nice Catch of Lake Trout Topped Off With A King! Last Friday, 9/11, that notorious date that no one will ever forget, was a good day for the Neil Nortz party as they went fishing aboard the Milky Way.